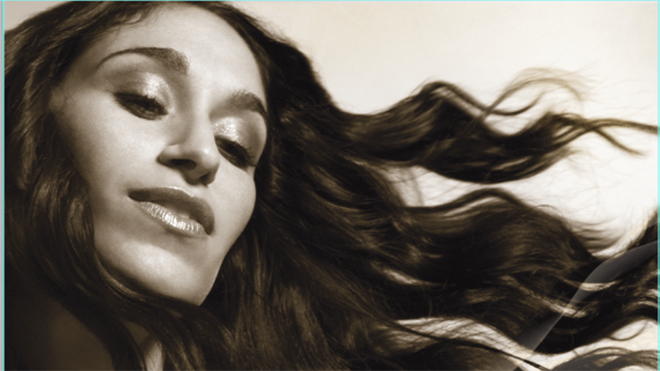 Sarah Aroeste releases the first-ever, all-original bilingual Ladino/English Holiday album, Together/Endjuntos today. She has created an eclectic collection that combines elements of Bhaṅgṛā, rap, cabaret, merengue and even country. Drawing upon her Sephardic family roots from Spain and Greece, Aroeste has devoted her career to the preservation of Ladino and all it represents. As a composer, singer, and cultural activist, she works tirelessly to articulate the beauty and relevance of Ladino (Judeo-Spanish) culture. One of the few composers in the world who writes her own music in the fading medieval language, Aroeste hopes to introduce Ladino music to a new generation. On Together/Endjuntos, she cleverly weaves English and Ladino together through songs that cycle the Hebrew calendar. Ladino is a centuries-old Sephardic dialect that includes elements of Portuguese, French, Italian, Greek, Turkish, Hebrew and Arabic. “La Ketubá De La Ley” is the only song that’s almost entirely in Ladino, except for two lines in the chorus that are in English. 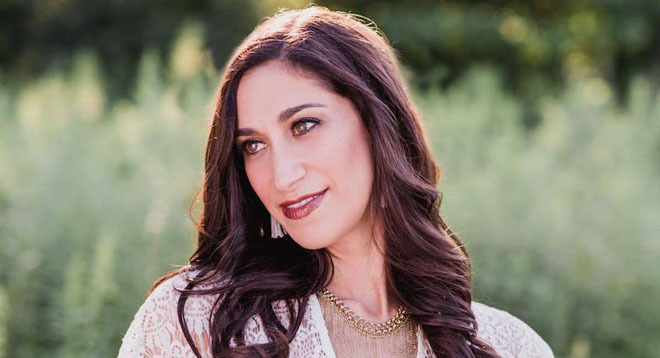 We talked with Sarah Aroeste to find out why she wanted to do a Ladino Holiday album, and why she feels called to save this fading language. Why is this first-ever, all-original bilingual Ladino/English Holiday album important? I’ve worked in Ladino for over 15 years and I’m proud of the material I’ve written and performed. At some point I realized there’s only so much of an audience if people have never even heard of the genre. I wanted to write an album incorporating English, so that the Ladino could actually have farther reach. When people learn about Ladino they are normally amazed that it exists—a pan-Mediterranean language they had never heard of before? It’s like a hidden treasure. Why did you include English? By including English, my hope is that more people will have access to discovering Ladino. And who doesn’t love holidays. (Laughs) In traditional Ladino music, there are certainly some beautiful songs that relate to specific holidays, but there has never been a single collection of non-liturgical songs that celebrate holidays. I wanted to write songs that were festive and celebratory—with themes that were universal, no matter the background of the listener. My goal with writing contemporary Ladino music is to be as inclusive and welcoming as possible. Writing a bilingual holiday album just made sense to me. How did your training as a classical opera singer influence your original music? As much as I’m grateful for my classical training, it also frustrated me that for so long I was stuck in a mode where I was so used to following musical rules. It prevented me from improvising or creating new ideas. It took me a long time to get over that and to make the switch from interpreting Ladino music to actually writing it myself. But the training has been invaluable—it’s allowed my voice to be more adaptable and to appreciate incorporating classical traditions into my contemporary writing. It was also when I was singing in an opera house where I first encountered a coach who was an expert in Ladino music. I owe so much to him—the late Nico Castel. In between opera coaching, he would teach me classical Ladino repertoire. It was during that time, 20 years ago now, that I started to realize I loved Ladino music more than the opera. If it weren’t for the opera training with Castel, I might not be where I am today. How did the new album Together/Endjuntos evolve? I knew I wanted to write a holiday album. So I sat down one day and made a list of my favorite holidays according to the Hebrew calendar. There are definitely some somber holidays that didn’t make the cut. (Laughs) But I picked ones I felt could tell a great story not only for Ladino, but also for me—as a songwriter. How did the idea of “La Ketubá De La Ley” come to you? The holiday of Shavuot is little known, but it’s actually the holiday to commemorate when the Israelites received the 10 commandments. It’s a hefty one. In Sephardic Jewish tradition, the marriage contract, the ketubá, is also used in association with Shavuot—meaning it’s a marriage contract between the Israelites and the commandments of the Torah. Ley means “law.” I wanted to write a song that was respectful and conveyed the feel of a marriage ceremony. The string quartet and the Spanish guitar give it that reverential, baroque feeling of import. Do I detect of hint of something in there for the Christian? We wanted to convey a bit of a marriage ceremony feel. I think the baroque feel also has some reverential, Christian-sounding overtones—as it’s a holiday that is often associated with conversion. Ruth, after all, goes along with the Israelites by saying: Your people shall be my people, and your God my God. In my bridge, I fashioned those famous lines to be a bit more universal, and wrote: We will go wherever you go, meaning we will follow where God takes us. My family. At first it was the family stories I heard—passed down from my grandfather. I grew up knowing I came from a proud Sephardic tradition in which Ladino was the mother tongue. Since it has been fading dramatically, UNESCO lists it as severely endangered, I wanted to find a way to preserve my family legacy in song. That was the impetus—using historical memory and family stories to express my love of my family background. And then I started my own family, and I knew I wanted my daughters to grow up in a world where Ladino still exists. So much of my songwriting since then has been because of them—including a children’s album I wrote for them last year. What initially made you want to write songs? I’ve always been passionate about wanting people to know the richness of Ladino tradition. The traditional repertoire is beautiful and unique, but I needed to find a way I could sing the music—in a way that felt natural to me. I wasn’t born hundreds of years ago in the Balkans—I grew up on American 80’s pop. To reach a larger, younger audience with Ladino music, I would have to write it myself—from an authentic place. Once I started writing my own songs, I realized there was so much I wanted to say and tap into. How is it relevant for us today? Just because it’s an old language, doesn’t mean the themes can’t be relevant today. I found I could most easily express myself by writing in this beautiful language. I’ve written feminist songs based on a 15th century Portuguese heroine of Inquisition times, songs on facing adversity based on an 11th century Judeo-Spanish poet I’ve always loved, and songs about trying to find your way home in today’s globalized world based on the iconic wandering gypsy girl. I wanted to write contemporary songs in this incredible language precisely to show how timeless and universal it is. I’m actually a pretty fast songwriter. Once I have an idea in my head, I sit down and get it out on paper. I normally write the lyrics first and then wait for the melody to strike me. When I’m in songwriting mode, it happens fairly quickly. I could go months without writing anything, but when I set my mind to it—I can write 2-3 songs a day. What songwriting tip can you offer? Carry a voice recorder with you—everywhere. I’ll be walking down a noisy, busy street when a melody gets stuck in my head. I’ll whip out my iPhone voice memo and record it right away—to save it for later. You never know when inspiration will hit. Write down ideas as soon as they come to you. Ofra Haza, Bobby McFerrin (one of my first coaches at Tanglewood), Leonard Cohen, Joni Mitchell and Yo-Yo Ma. What instruments/equipment help you write, record or perform? To write, it’s my iPhone voice memo app. To record: a Neumann mic—it makes everything sound better. To perform: my ancient Flip video camera. I record almost every gig so I can watch later and critique myself. Well over a decade ago, when I was just starting out, I heard my music on NPR. That was huge for me—validation. It felt like I was being accepted into the mainstream. What are your Top 5 favorite albums? I remember being the most amazed 10 years ago when I performed the first Ladino song I ever wrote with the Jerusalem Symphony. It was the first time I had ever sung with a full symphony—and it was my own song. It was the most proud I’ve ever been. Have a side job. Don’t give up. Best advice you’d give upcoming musicians? Stick to a vision, work at it and perfect what you do—and people will respect you for it. I’m just starting to work on my next project. Ladino has wonderful sayings—Yiddish zings. I’m collecting the public’s favorite sayings and proverbs in Ladino, and writing songs around them. It will be bilingual again. I’m pretty excited about it.